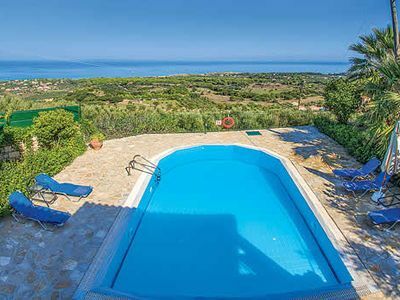 Joy delights in Cretan Sunrise Villa. 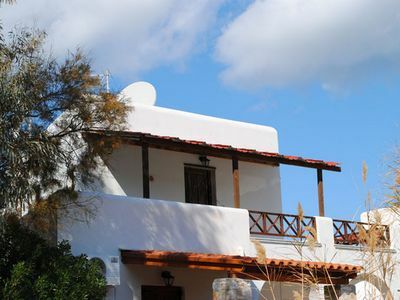 Experience it yourself in Kavalos a small village over Kournas lake the only natural lake of Crete island. 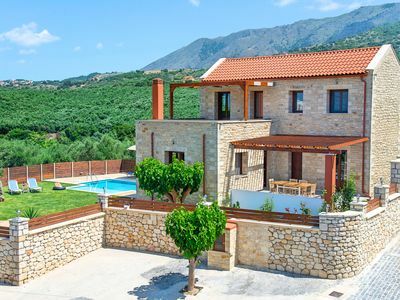 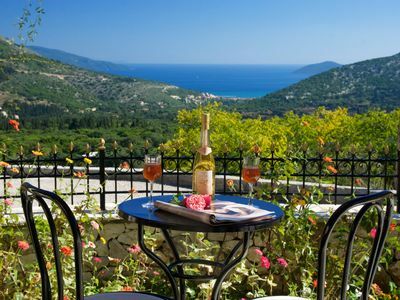 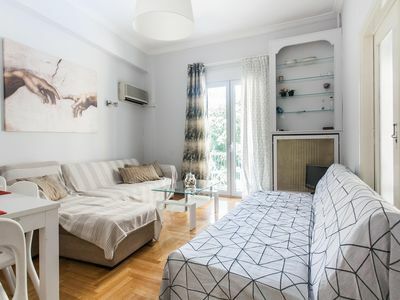 Few minutes' drive from the heart of the scenic fishing town of Georgioupolis or the crystal-clear sandy beaches of the northern west coast of Crete. 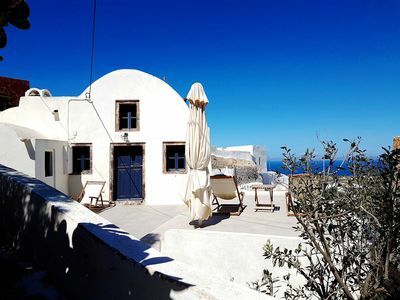 Exclusive style, sophisticated architecture and enviable service may make it challenging for you to leave your comfort and experience all the island remains to offer. 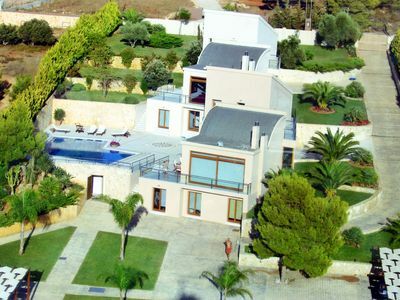 The villa is built in two levels sparing no luxury. 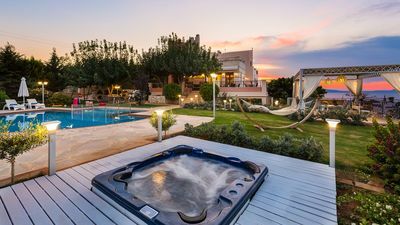 On the outside, the crystal private pool is surrounded by a lush garden looking out to the view of the nearby Lake and the Cretan sea. 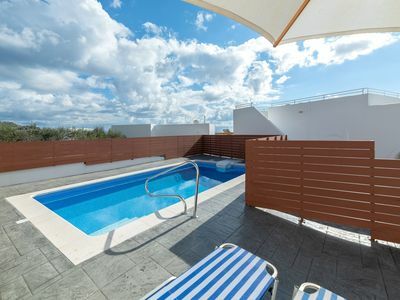 The pool with children section is exclusive to dwellers' pleasure. 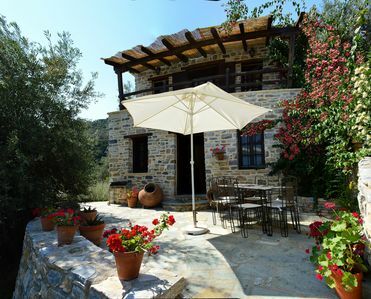 The poolside and garden offer spots both of cool shade and radiant light, as well as privacy and view. 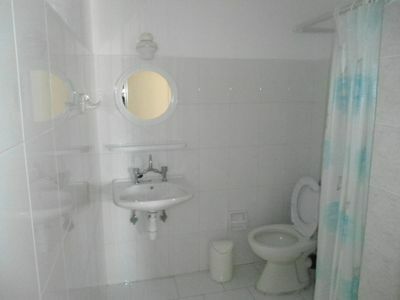 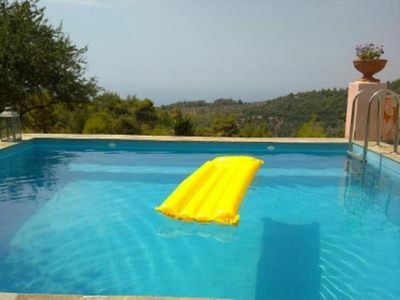 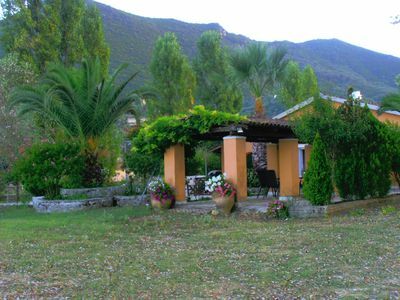 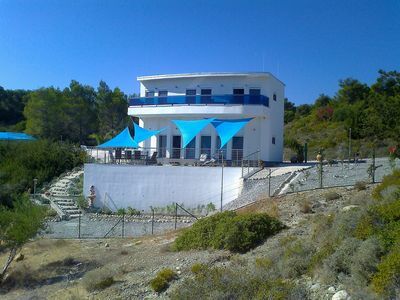 High Quality Villa with Panoramic Sea View & Full Facilities, Next to the City! 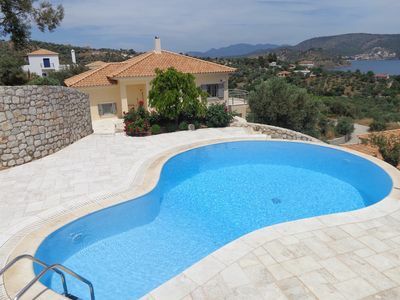 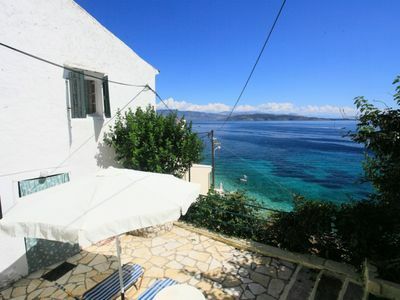 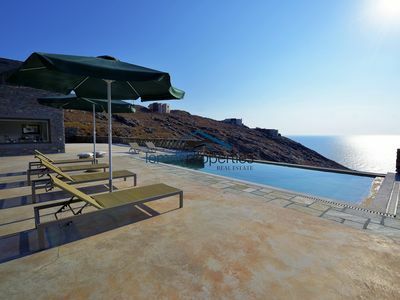 Modern stone villa with a swimming pool, large terrace and fantastic sea view.